This is a cart based discount rule which gives discount of 5% when 24Quantities purchased within the Categories A, B or C.
Category A + B + C = 24 Quantities. 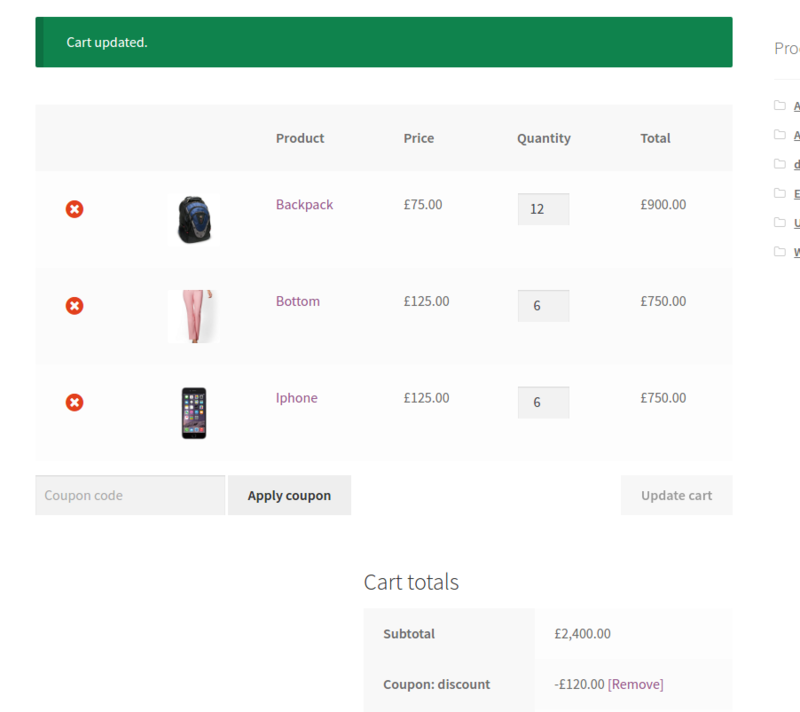 Woo-commerce -> Discount Rules -> Cart discount Rules -> New Cart Rule. This rule is applied only when purchased among the following categories Accessories, Apparels and Electronics AND the total number of quantities in cart should be at least 24. Only then this rule will be applied. When the Rule satisfy then give 5% discount in the cart. Here is the Cart when the rule is applied. The 5% discount is applied for the total amount in the cart when Total quantities is 24 and purchased within the categories of Apparel, Accessories and Electronics.